Neville Marriner is an English violinist and conductor born on April 15, 1924 (Heifetz was 23 years old.) 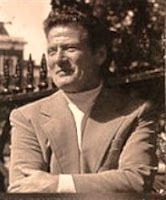 Marriner studied at the Royal College of Music and at the Paris Conservatory, though he was never a concert violinist. He had no famous violin teachers either. In 1949, he played violin in the Virtuoso String Trio and in the Martin String Quartet (second violin.) By 1952, he had become a member of the London Philharmonic. From 1956 to 1968, he was principal second violin with the London Symphony Orchestra. While he held that post, he founded the Academy of St Martin in the Fields (1959). The Academy is an English chamber orchestra which began life without a conductor in the style of the Orpheus Chamber Orchestra (Marriner led from the concertmaster’s chair) – this orchestra later made him famous. Simultaneously, he was also associated with the Jacobean Ensemble. In 1959, he studied conducting (during summers in the U.S.) with Pierre Monteux (as did David Zinman.) He was also a violin instructor at the Royal Academy of Music in London from 1949 until 1959 (some sources say until 1950.) After gradually assuming the conductor’s post with the Academy, he was the first music director of the Los Angeles Chamber Orchestra (1969-1978.) From 1979 to 1986, he was music director of the Minnesota Orchestra. Subsequently, he was principal conductor of the Stuttgart Radio Symphony (1986-1989.) Should you ever want to listen to Marriner’s violin playing, you can buy his recording of the concerto for four violins by Vivaldi. Though Marriner has well over 200 recordings to his credit, he is best known for his connection to the soundtrack for the Mozart movie – Amadeus.